Legal issues can crop up at any moment. Sometimes, you may be the victim as well. 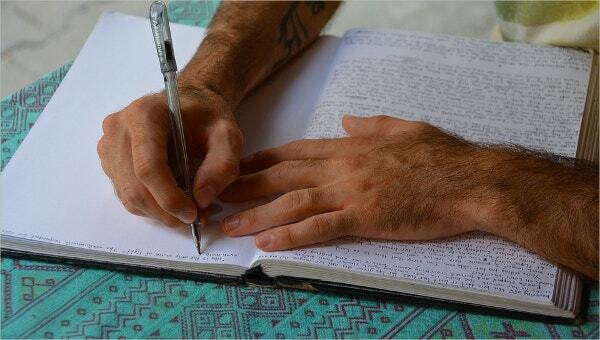 The courts in any country would accept signed documentary evidence only. You may have to make a sworn affidavit or a statement samples of financial declaration. Legal procedures would entail hiring an advocate to present your case. You would have to pay his fees as well. 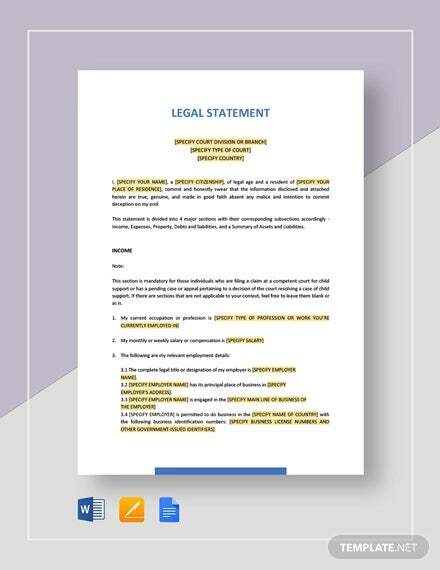 You can make use of the Legal Statement Templates with the Internal Link Anchor Text. They would be of great assistance in these matters. Any court hearing would require examination of the witnesses. The witnesses would have to give a statement to the effect. The main purpose of the statement is to rule out matters of coercion and threat as well as to document the evidence. 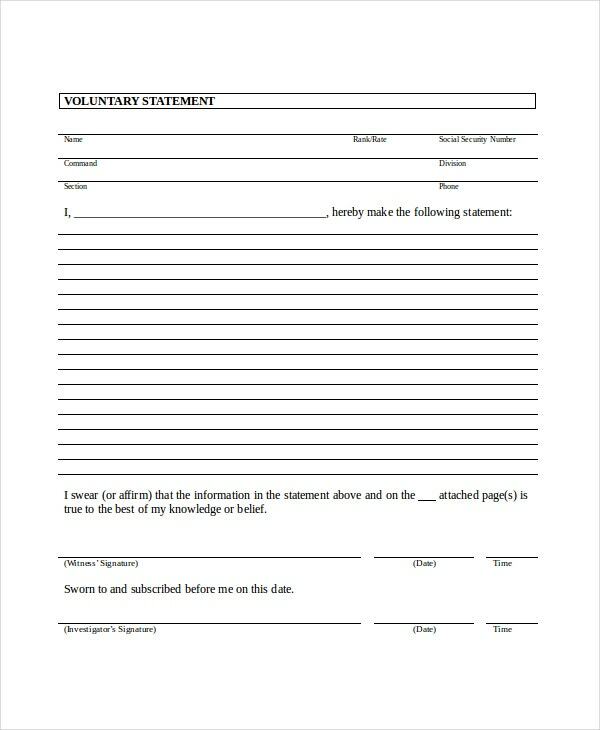 The Legal Witness Statement Template allows you to submit the statement easily. You may also see Cash Flow Statement Templates. One of the best ways to solve a financial dispute between the debtors and the creditors is to have a mediator in between and arrive at a compromise settlement. You may have to register this settlement in a court of law to impart a sense of sanctity to the agreement. 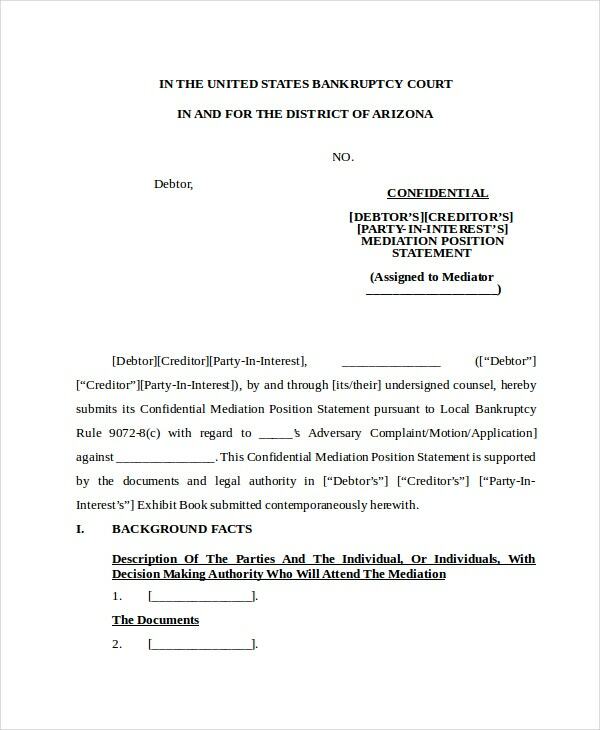 The Confidential Mediation Position Statement Template helps you achieve the objective. Any matter involving the intervention of the courts would require you to hire an attorney for the presentation. The attorney would have his own set of rules regarding the payment of his services. 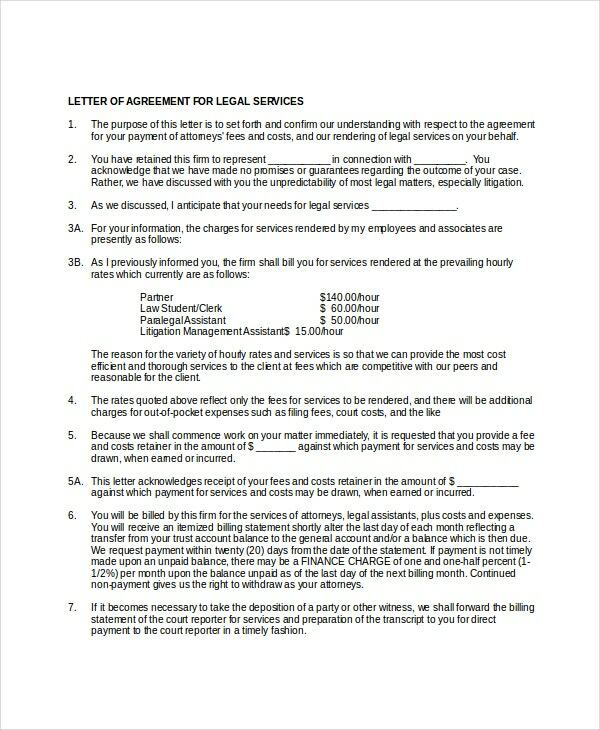 The Legal Agreement Statement Services Template would be the best document to help you in this aspect. Certain legal situations may require you to submit a sworn affidavit in the court. This Sworn Statement would be a sort of a self-declaration of facts. 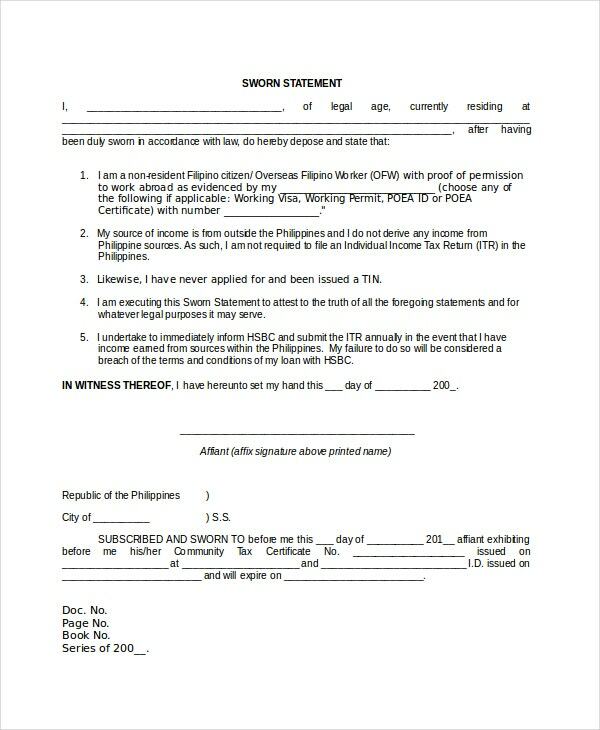 The Legal Sworn Statement Template is the perfect template for preparing these sworn affidavits. When you hire an attorney to represent your case in the court of law, you would have to enter into an agreement for payment of his legal services. This agreement would detail his charges as well as his rights and obligations. 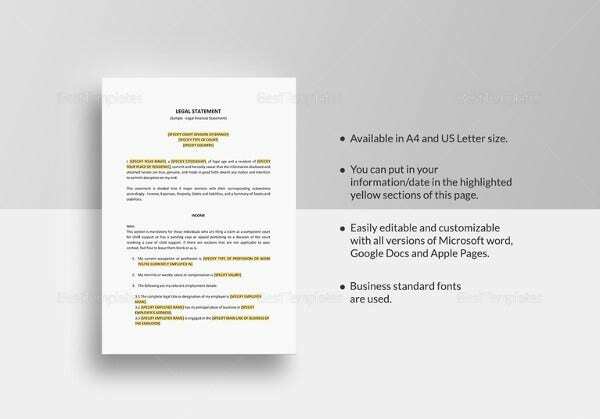 The Letter of Agreement for legal Services template would be the ideal format to follow. When your attorney presents your case before the Court of Law, he has to follow a certain procedure for drafting the memorandum. He has to observe a set pattern failing which the courts may not accept the memorandum. 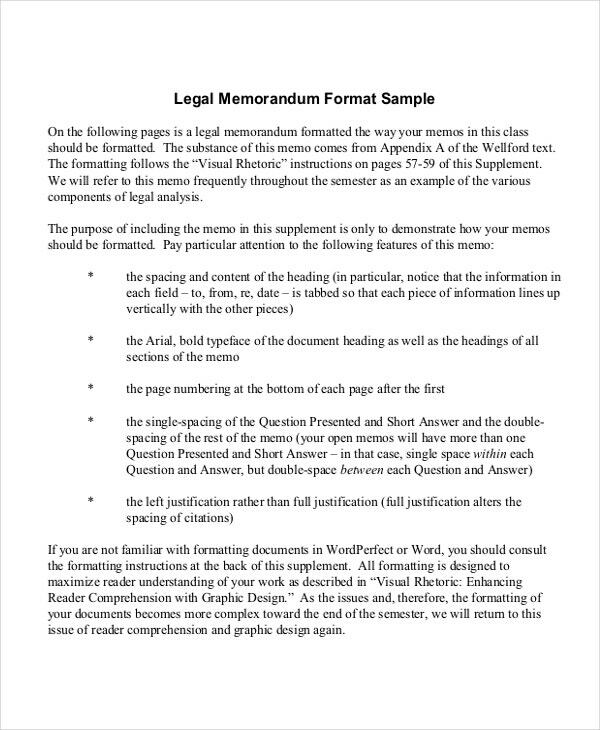 The Legal Memorandum Format Template is the correct way to represent your memorandum in the Court. There may be occasions when you would have to make a financial declaration in the Court of Law. The occasions may be cases of claiming child support, varying an Order for child support, etc. You have to follow the format stipulated by the law. 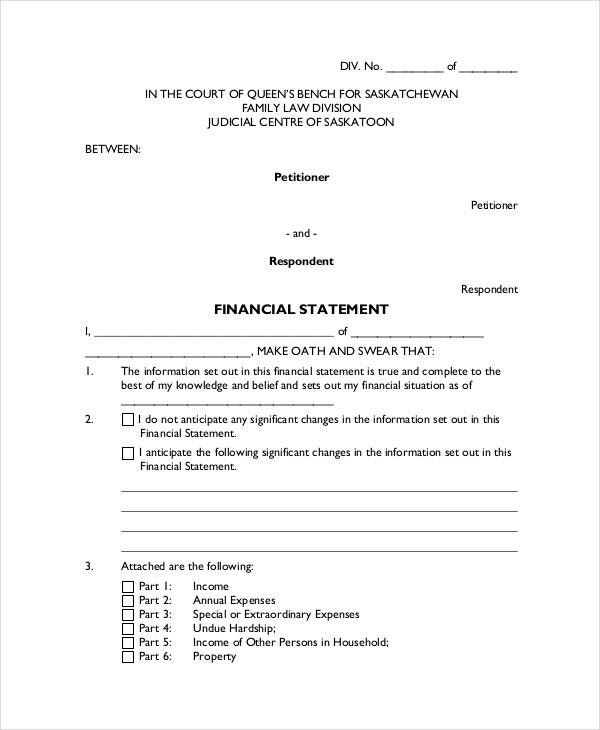 The Legal Financial Statement Template can help you in this regard. > Who would Benefit from These Templates? A legal situation can arise at any time. You may have to make presentations before the court of law. You would also have to hire advocates to present your case effectively. The courts may also ask for sworn legal affidavits and declarations. These documents have a set format to follow. You may also see Financial Statement Templates. You cannot deviate from the procedure and alter the language contents. 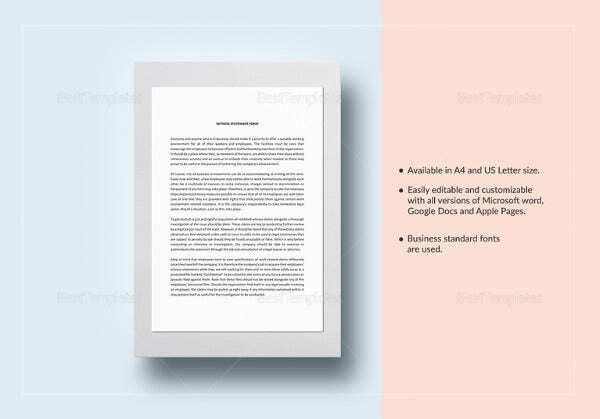 The Legal Statement Templates would help you in this regard. 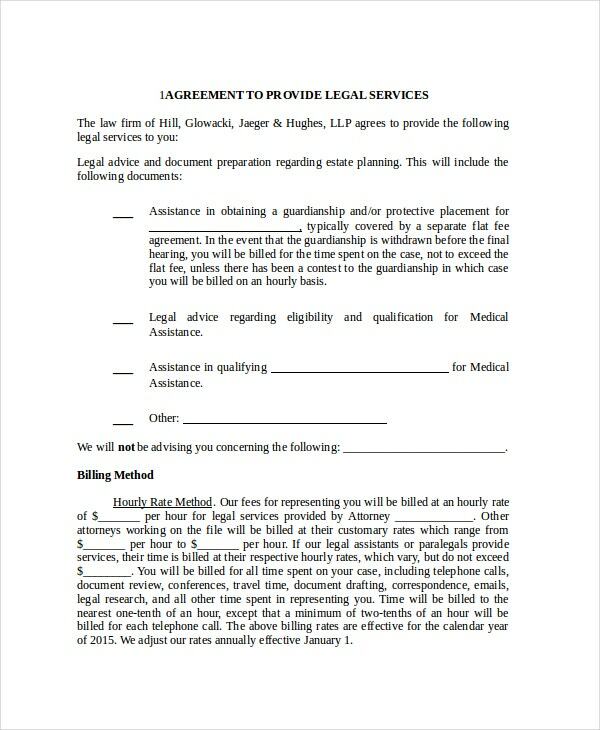 These templates also include the format of the agreement for providing legal services. Signing this agreement would save you the troubles and disputes that could arise at a later stage. > When are These Agreements Useful? Similarly, your attorneys would have to file memorandums before the court in a set format. 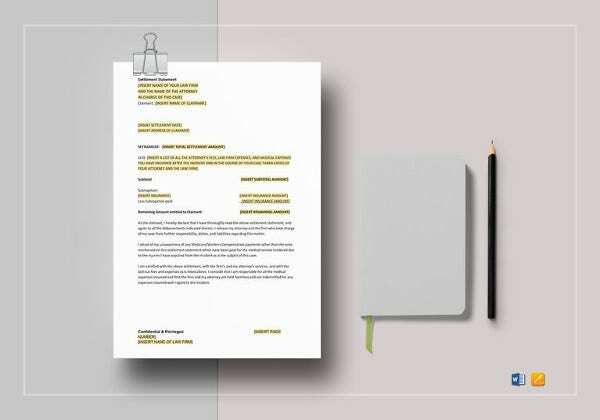 These templates would help you a great deal in these matters. You can have a clear agreement with your attorneys as well regarding the services they would provide and the charges for the same. This would save you money in the end. > What are Your Benefits? The courts all over the world rely on documentation alone. They resort to oral evidence on certain rare occasions only. The voluntary witness statement is an ample testimony to this fact. Under such circumstances, it would benefit you as well. Nobody would be able to deny the veracity of these agreements once the court accepts and ratifies the same. You may also see Income Statement Templates. This documentation would thus be of great help to you. Having an agreement for paying the legal fees would also give you a clear picture of the liabilities you could incur in this case. The documents would speak for you in the case of any disputes. It is always difficult to draft a legal agreement. You would have to include all the information lest you leave any loophole for the opposite party to take advantage of. 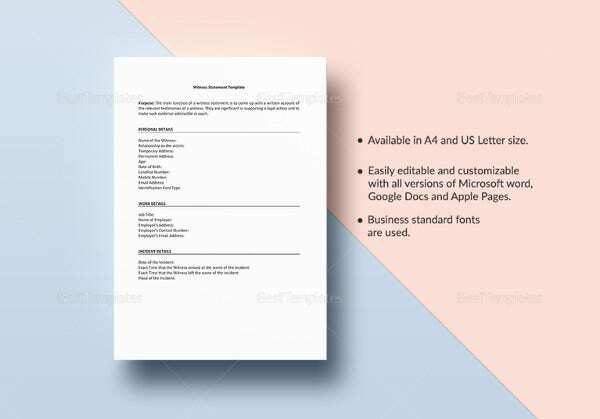 Having a set legal statement template with the Internal Link Anchor Text would be of great assistance to you for that matter.